Aim & Shoot At A Range That Trains National-Level Athletes. Always wanted to pick up a gun? You can at M.E.S Shooting Range in Sadashiv Peth. Learn everything about target shooting and also get an MRA registration. The academy is attached to M.E.S chain of institutions, so you know that your training is in good hands. 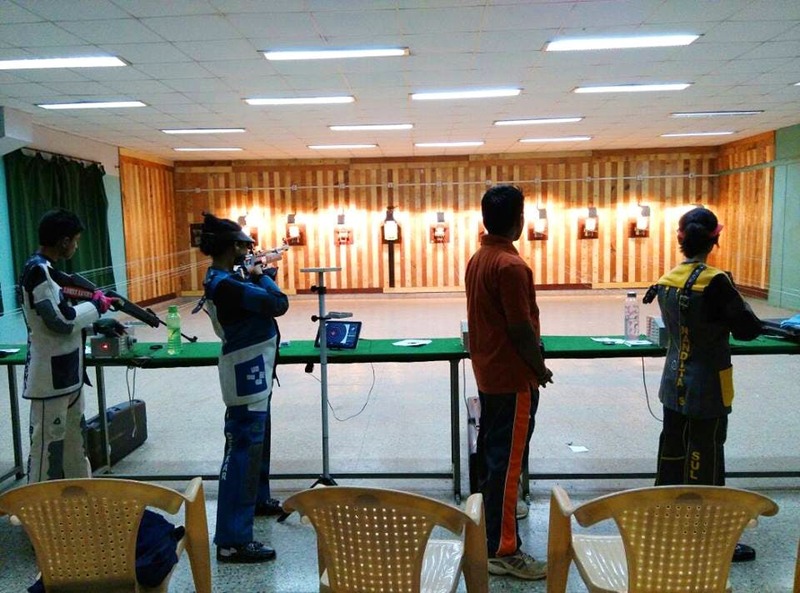 The shooting range is meant for those interested in rifle shooting as a sport and encourages students to compete. This range trains shooters in target shooting. Previous students of the academy have played at state and national level and hold several medals at national level in the sport. If you're fascinated to learn and want to try your hands on being the next Abhinav Bindra, sign up! You can learn the basics in the ten-day Safety Basic Course, which makes shooters eligible to compete in competitions organised by the Maharashtra Rifle Association. So, the course is obviously conducted under the association's guidelines and instructions and includes an MRA registration at the end. One your ten days are up, you can choose to pursue the sport further too and you could become a member of the range. The academy's aim is to have more shooters in the state, so that some day they could represent the country in international competitions too. We would love to see one-way workshops open to public, which would help people decide if they'd want to sign up for ten days or to simply check out the sport. Sign up for the basic course, that way you'll be making better use of your Christmas break at least!